A wide variety of Kansas City-area hotels await staycationers and visitors. But for cozy, unique accommodations, consider booking a night at an area bed and breakfast. Of course, with these comfortable choices, there are always traditionally gourmet morning meals to savor. But you may also enjoy evening wine and appetizers and private hot tub soaks. In addition, beautiful gardens and sunsets meet walker-friendly urban neighborhoods and waterfront views. 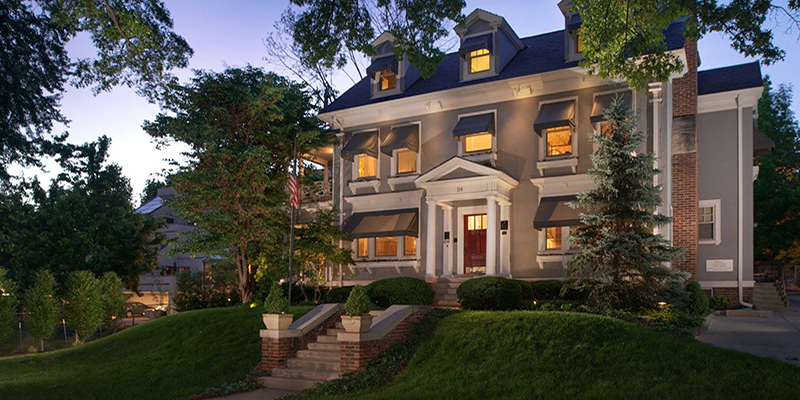 Jefferson House is a lovely, 1890s Westside home offering two suites, a sumptuous guestroom and Victorian flair atop a bluff that overlooks the Kansas City skyline. The Downtown neighborhood location is walking distance from tasty tacos and vegetarian fare, plus other eclectic spots to eat, drink or shop. In addition, the Crossroads Arts District and the Power and Light District are close by. 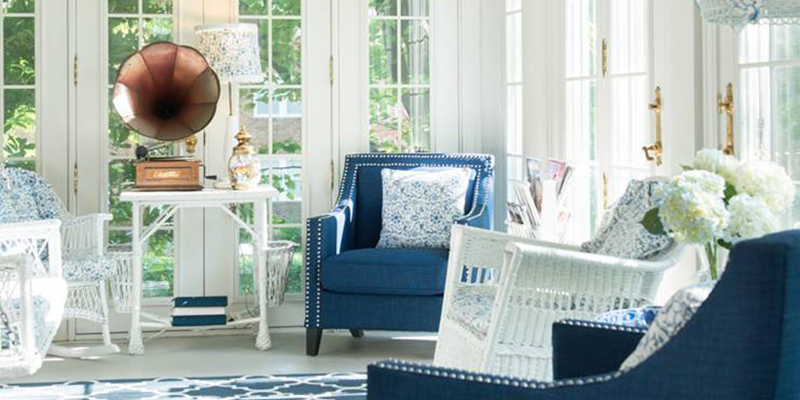 The cozy and comfortable 13-room home is also known for European-inspired breakfasts served in a wood-rich dining room on the owner’s handmade pottery. Think crème brûlée French toast and Scotch eggs. 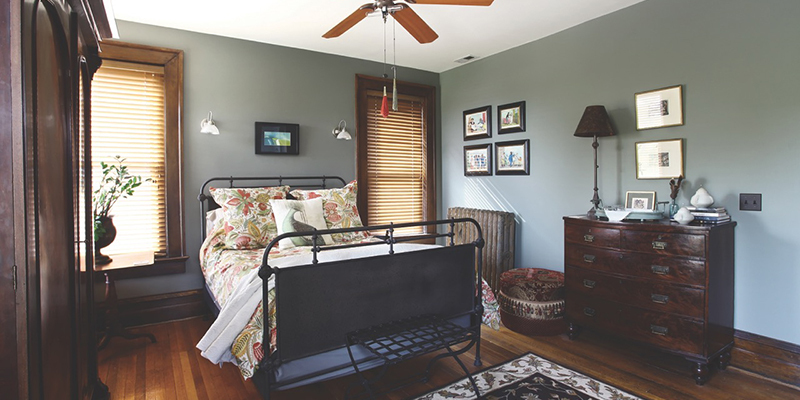 With a focus on customer service, 1812 Overture Bed and Breakfast has welcomed visitors for more than 10 years in a restored 1884 home near Kansas City’s highly walkable Crossroads Arts District. Steeped in history, stained glass and carved woodwork adorn the public spaces, and guestroom themes range from Art Deco to Guatemalan loft getaway. 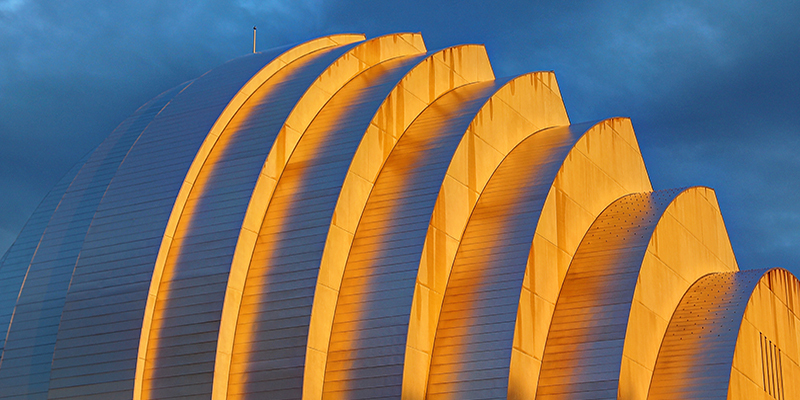 This lodging easily accommodates 14 people and offers views of the Kauffman Center for the Performing Arts and other urban landmarks. Made-to-order breakfasts sidestep allergies as needed, while a six-person hot tub beckons year-round. Guests can also dine or relax in beautifully maintained gardens during warm weather. Operating inside a 1913 Colonial Revival mansion, Southmoreland on the Plaza has hosted guests since 1990, with a focus on personalized service. Décor in the 12 guestrooms at the inn celebrates notable Kansas City locals, from baseball’s Leroy “Satchel” Paige to chocolate makers Clara and Russell Stover. Decks and porch swings, hot tubs and fireplaces abound as well. Steps away, the carriage house suite provides extra privacy if needed. 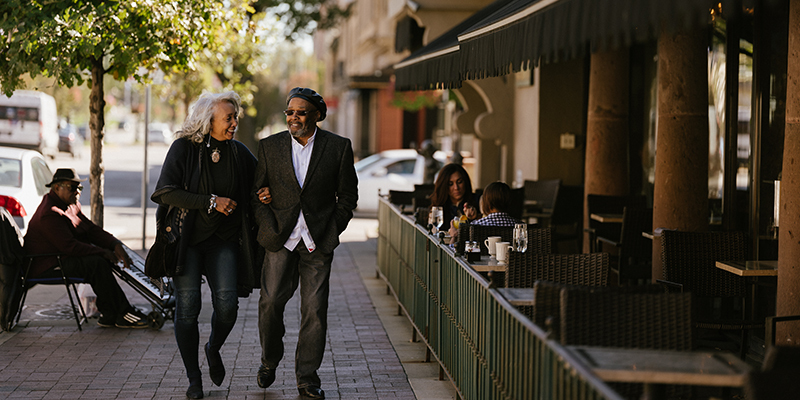 In addition to breakfast and fresh chocolate chip cookies, the B&B offers beautiful gardens, evening wine and appetizers and convenient walking distance to and from the renowned Country Club Plaza. 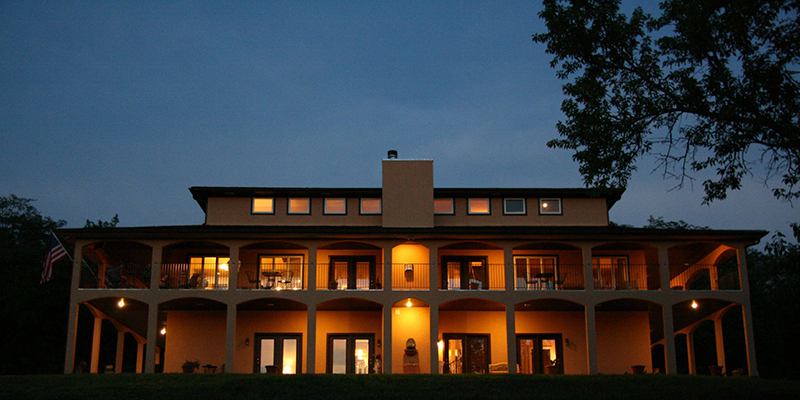 Nestled in Paola, Kan., Casa Somerset Bed & Breakfast is a rural oasis that resembles a two-story Tuscan villa. It sits beside a small lake on six rural acres in Miami County, where heirloom tomatoes, organic grapes and a massive organic garlic plot grow. Four luxurious guestrooms with private baths and queen-sized beds reflect Raphael, Presidential, Godfather and Winery themes. Italian music plays as guests sip wine and homemade limoncello by the massive fireplace—or on the veranda with unobstructed sunset views. 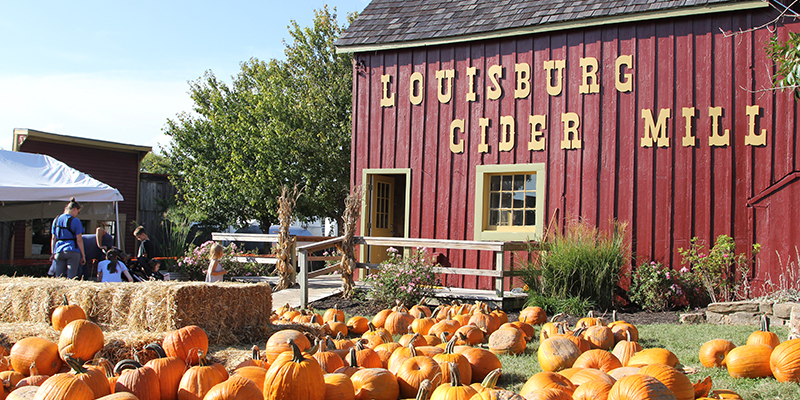 Nearby, follow the Somerset Wine Trail, which features four wineries operating within minutes of each other; sip cider at Louisburg Cider Mill; or see rescued ‘big cats’ at Cedar Cove Feline Conservatory.